One thing we cannot stop is time. As Dr. Kelly says, “Mother-Nature and Father-Time never sleep!” With the passage of time, our bodies age, our skin and hair change, gravity and the effect of the sun impacts how our skin looks and feels. Of course, the first line of defense involves a personally tailored home skincare regimen that includes anti-oxidants, serums, cleansers, exfoliants, retinol and diligent use of sunscreen. Next is having a treatment plan prescribed by your Licensed Master Esthetician and/or by your Plastic Surgeon. This would include professional treatments such as chemical peels, micro-needling and micro-dermabrasion, Pico-facials and the use of PRP and/or a new and exciting treatment called PRFM (see below for more information). The next step may include treatments requiring more advanced skills such as filler and a procedure known as a “vampire“ facelift or more correctly a liquid facelift. There is another lifting technique called thread-lifting. Dr. Kelly takes the view that, although an option, he will not do thread-lifts because they are permanent barbed threads that hold tissues for 6 months to 2 years. After they fail, you are left with the threads embedded in your face. If they become infected or a problem in any other way, they must be removed surgically. BUT if you decided to go that route, the threads should be placed by a plastic surgeon or an individual with an advanced practice medical degree as a minimum requirement. The next step is plastic surgery. The skin of your face, neck, and jowls can be revitalized in a number of ways, including a facelift, a mini-facelift, and a CO2 Laser (resurfacing of the skin). Procedures can vary a great deal and so it is important to understand the difference between each one of them. The “vampire” facelift or liquid facelift uses a combination of fillers and the body’s own regenerative powers to improve the look and feel of skin. Traditionally it includes the use of PRP (platelet rich plasma), which is then injected into the site where improvements are desired. At Revivology we have a more advanced technique using a newer complex form of your body’s regenerative power called PRFM or Platelet Rich Fibrin Matrix. Essentially it works like this: a blood draw takes place (the vampire portion of the procedure) just like a normal hospital blood draw for any other reason. The blood is then put in a special centrifuge, where it is spun to extract the PRP or PRFM. This process is really best to treat fine lines, crow’s feet, or slight sagging of the upper and lower face and chin. It can also help reduce crepiness in the Décolletté and other areas of the chest. PRFM works great in the tear trough area and we are beginning to experiment with its use in lip enhancement. Sometimes other fillers are added so that a patient sees results almost immediately. Otherwise improvements take time, usually four to six weeks, to see initial effects if only PRP or PRFM are used. The full effect is not always visible until about 12 weeks. The effects generally last about a year. While this is the least invasive “lift” procedure, its effects last a relatively short period of time. You can expect the results to last anywhere from 9-24 months depending on what type of filler you decide to use. While these treatments will help with cheek-bone volume, fine lines and wrinkles and stimulate collagen and elasticity, they cannot make the structural changes that a facelift can. This treatment is very popular and can give the skin amazing results by creating more uniform tones, smoother texture and tightening the skin. It helps reduce fine lines, minimize deeper lines (including those pesky upper lip lines) and decrease pore size. Traditionally CO2 lasers were 100% ablative. This means the laser was used to completely remove the epidermis and a portion of the dermis. Patients faces were very smooth; unnaturally so, and they had loss of normal pigment. In an attempt to eliminate these issues, new technology was developed to “fractionate” the laser beam i.e., to randomize the lasers’ contact with the skin. So now a pre-determined fraction of the of the skin is affected. The amount of skin treated can be varied by an experienced and knowledgeable medical professional. This allows for specific and appropriate treatment of the different issues affecting your skin. It also allows the many skin thicknesses of the face to be treated while minimizing risks. It is an excellent addition to any facelift or can be utilized as a stand-alone treatment. Revivology currently has two CO2 lasers with different capacities. The best way to know if this treatment is the one for you is to come in and have a free consultation with Dr. Kelly. What is a mini-facelift and how does it work? A plastic surgeon makes a small incision and not only tightens skin, but also shapes the superficial muscular aponeurotic system or SMAS to provide more natural looking results than just a skin lift. Unlike the vampire facelift, the mini-facelift is a minor surgery rather than just a series of injections. It is designed to tighten the lower third of the face and have a subtle effect on the neck. More specifically it helps with early jowling and restores definition to the jawline. It will not affect the patient’s mid-face, forehead or eyes. For the most part a mini-facelift is geared toward those in their 30’s and 40’s who are experiencing minor signs of aging and want to be proactive about combatting them. The procedure is generally short, usually less than two hours, and can often be done outpatient and with local anesthesia instead of general anesthetic. The effects of a mini-facelift last between five and ten years, depending in part on the lifestyle and genetics of the patient. 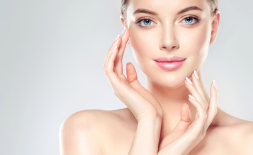 What is a Facelift with Platysmaplasty? A facelift with platysmaplasty is the ultimate, definitive facial rejuvenation treatment. The reason is simple. The procedure includes treatment of the underlying SAMS (the muscle structure of the face) along with the tightening the platysma muscle and removal of extra skin on the neck (“turkey neck”). The best surgeons will hide your incisions, so they are not easily visible or detectable. Having performed thousands of facial procedures, Dr. Kelly has perfected his unique incision: it is hidden in and around the ear instead of the more common incision that is a straight line in front of the ear and includes incisions along the hairline. He also has developed many other unique techniques included in his facelifts and has trained over 400 surgeons during one on one training sessions. 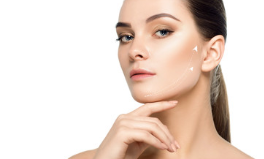 If you are looking for a facelift in Salt Lake City, in Utah or anywhere, those offered by Revivology can be done as an outpatient procedure with or without general anesthesia. Using other forms of anesthesia have been shown to reduce patient risk. A full facelift offered by Dr. Kelly, in conjunction with other minor procedures, can treat the forehead, eyes, neck, and the upper part of the face not affected by a mini-facelift. This is a more extensive surgical procedure than the others mentioned here, but also has the most comprehensive benefits. Which facelift procedure is right for you? The answer is that it depends. Each offers advantages and disadvantages. Here is a quick comparison. Effects: A facelift with platysmaplasty affects the lower half of the face and neck as well as the midface. A mini-facelift targets the lower third of the face. Precautions: both procedures have pre- and post-operative requirements such as not smoking for weeks before or after the surgery and not taking aspirin or blood thinners for two weeks beforehand, to name a few. Cost: A facelift generally costs more than a mini-facelift, but it is more than twice as effective. Recovery Time: A full facelift often requires a couple of weeks of recovery time, although with make-up many patients are comfortable being out in public after 7 days. Usually the recovery time for a mini-facelift is a week. Sutures are removed one week after the procedure. Risks: The risks for these surgeries are nearly identical. Permanence: How long do they last? This is a difficult question to answer! A full facelift and a mini-facelift will have visible results for years to come. The longevity is affected by gravity, the elements, genetics, and time. In other words, a facelift will have a refreshing result on your apparent age, it will slow the aging process, but aging does occur. For example, if you has an identical twin and you have a facelift and she does not, when you are 80 you will still look younger! Both procedures usually involve some skin removal, although the process is more extensive with a full facelift. A full facelift actually offers more value in the long run and makes the slightly longer recovery time and additional cost worth the investment. The right choice will of course depend on your age, lifestyle, and the types of cosmetic changes you hope for. Another factor may be your general health which may affect the risks of surgery. The key is a consultation with a skilled and experienced plastic surgeon who can give you the best advice for your particular situation. If you are looking for a facelift in Utah, come meet with Dr. Kelly for a free consultation! He will guide you toward the procedure that is best for you. When comparing facial rejuvenation services, keep factors like overall effects, longevity, and cost in mind, and if you have any questions, don’t hesitate to reach out. Our friendly and knowledgeable staff is here to help. Again, Revivology offers free consultations for surgeries and other professional treatments.